Can't get out and ride or the weather keeping you down? Learn more about kiteboarding or new tricks in your downtime with these DVD's. 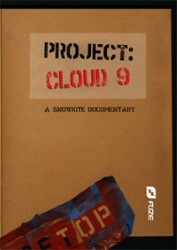 From wave riding in "Lines", to snowkiting in "Cloud 9", to Progression's instructional series; we have just about every kiteboarding DVD ever made. The Progression series of instructional DVDs are here to give you the confidence and motivation to improve quickly and safely. A complete, video based learning resource that supports and builds on everything you may have already, or are about to, learn in your lessons. The Progression series of instructional DVDs are here to give you the confidence and motivation to improve quickly and safely. A complete, video based learning resource that supports and builds on everything you may have already, or are about to, learn in your lessons. This DVD covers 23 tricks, across 7 different families of tricks, and as always we break down each one into easily understood and replicated stages. 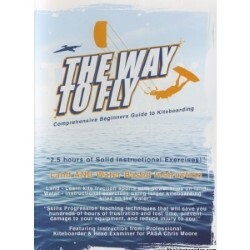 DVD is an outstanding Instructional Kiteboarding Video. Now in an updated new edition just out in January 2015, Version 2 is a Comprehensive Beginners Guide to Kiteboarding Instruction, featuring Chris Moore, a Master Examiner and professional kiteboard instructor since 2000. We are pleased to announce the newest movie from Bilderback Productions. 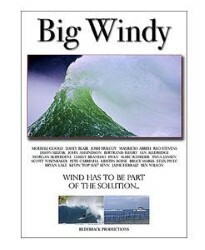 Big Windy is the awesome new movie from John Bilderback featuring Moehau Goold, Davey Blair, Reo Stevens, John Amundson, Josh Mulcoy, Mauricio Abreu, and more. The sequel to Air Sickness! 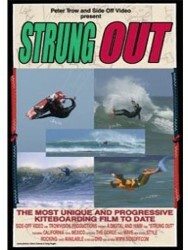 It's evident that a lot has changed performance-wise since then and we're bringing it all to you with Strung Out. We're calling it a unique and progressive video. A group of snowkiters load into a tiny RV for a month-long trek across the Rocky Mountains. Filmed on location in Idaho, Montana, Utah, and Colorado, Project Cloud 9 showcases the daily adventures from riders who travel in search of wind, snow, and the ultimate natural terrain.